Vitor Belfort will not retire from mixed martial arts just yet after all. ‘The Phenom’ will continue his run at middleweight as he takes on Uriah Hall, January 14 in St. Louis. The news broke via Brett Okamoto of ESPN. Now at 40 years old, Belfort has been competing for 21 years, dating back to October 1996. The mixed martial arts legend celebrated a unanimous decision win over Nate Marquardt in June and will step in against Hall at the Scott Trade Center, less than two months from now. Hall is coming off a second round TKO win over Krzysztof Jotko in September. That much needed win came after three consecutive defeats to Gegard Mousasi, Derek Brunson, and Robert Whittaker. 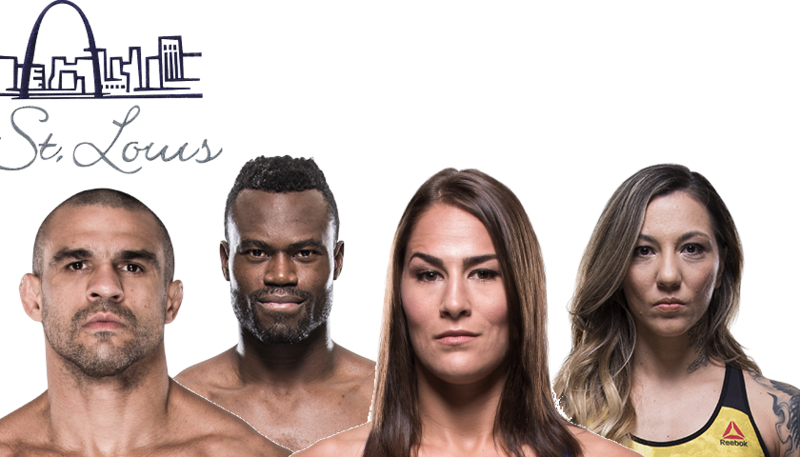 Also added to the St. Louis fight card, Jessica Eye will move on from the hopes of competing against Paige VanZant at flyweight. Eye recently posted a video where she bashed PVZ for initially taking the fight, pulling out, and then not accepting it for a later date. This will be Eye’s first fight in the UFC at 125 pounds. Eye lost four straight at bantamweight, although never was never finished. She dropped bouts to Miesha Tate, Sara McMann, Julianna Pena, and Bethe Correia. Eye will be taking on Kalindra Faria. Faria (18-6-1) is coming off an October submission loss to Mara Romero Borella. Previous Which Sport Is Right For Your Body Shape?